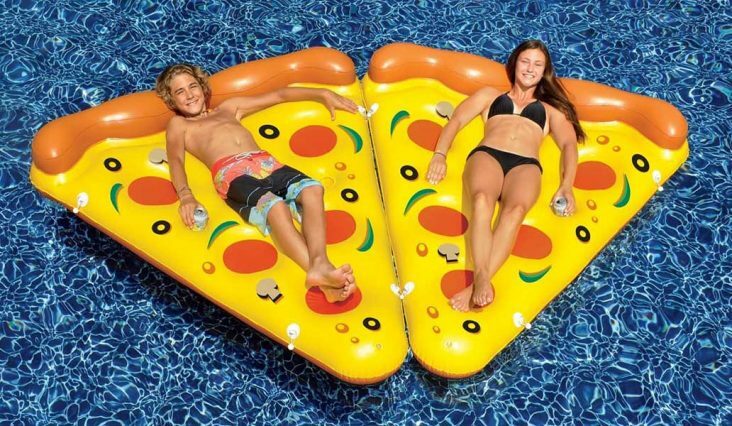 Fun pool floatation toys that look like giant slices of pizza. Fun to use individually but they look even cooler when there are a few slices together. A great idea for a family pool or a pool party. 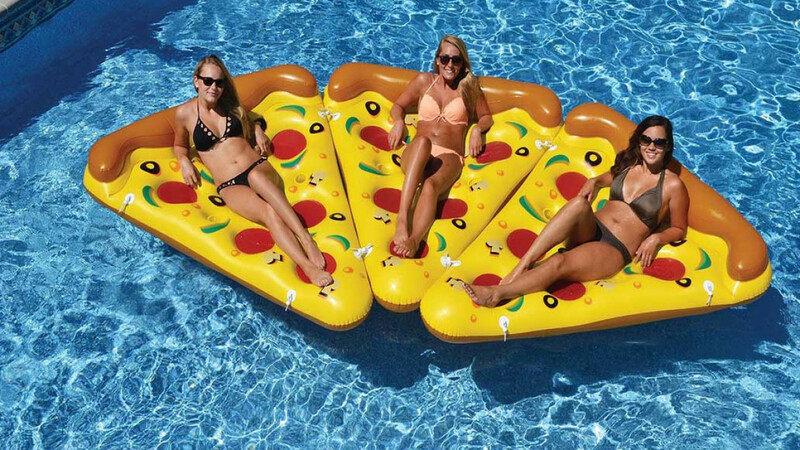 These are easy to inflate and they come with connectors so that if you have more than one inflatable pizza slice you can join them together and create a floating pizza raft. If you have enough pieces you can build an entire pizza. Each giant pizza slice measures 6x5 feet. A cool gift idea or pool toy that is sure to entertain people of all ages.